Treatment of ulcers and follow up! It is important that the type of ulcer is correctly diagnosed and treated. A common example is trauma. This can come in the form of a broken tooth or a rubbing denture. There is no point in applying any medication until the offending tooth has been repaired or the denture adjusted. The body is quite marvellous in healing itself given the right circumstances. 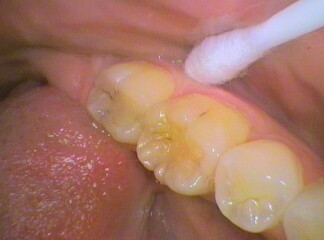 It is important also that a follow up with the dentist to check that the ulcer has healed after treatment. A non-healing ulcer may mean other causes are at play and further investigations are necessary and in rare circumstances life saving! Trauma – Access the cause and if possible correct it. As mentioned above adjust or remove whatever is directly irritating the mucous membrane. Chemical – Stop the cause of being repeated. For example putting aspirin in the mouth and letting it dissolve. Avoid drinking very hot coffee or foods. Biochemical – Certain medications may need to be reassessed. Blood tests may need to be carried out to confirm any other underlying causes such as low Iron or Vitamin B12 levels. Systemic – Medical issues need to be addressed. For example uncontrolled gastric reflux can burn the mouth. Uncontrolled diabetes impedes healing. This depends on the type of ulcer and needs to be assessed by a health professional. However if the type of treatment involves the application of a gel, ointment, or liquid its important to DRY THE ULCER BEFORE APPLYING. 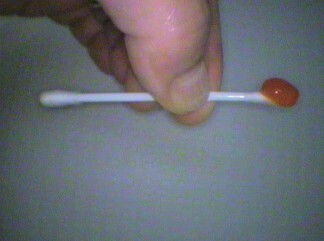 Use a double-ended cotton bud with the material on one end. With the dry end find the ulcer and wipe it dry. Then immediately apply the material into the ulcer and massage it gently into the exposed central area. It will sting but that means you have found the correct spot. Follow instructions of the medicine as accurately as possible. The symptoms usually clear up in 2-3 days however ulcers may take up to 2 weeks to heal. Citric acid found in e.g. orange juice should be avoided as it slows down the healing process. The pain stops once the exposed underlying layer is covered by epithelium. 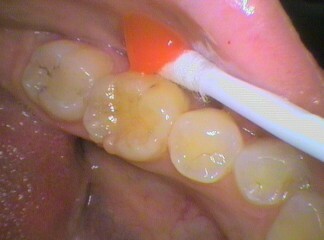 It is important that the dentist ascertains that the ulcer has healed. If it has not then further investigations will be needed. This may involve a biopsy of the ulcer. Unfortunately, cancer can often be symptomless. Therefore it’s important to have regular examinations ideally every six months to check not only the teeth and gums but the rest of the mouth and jaws. This is so any problems are picked up early. This is our aim at Seymour Dental.